Have you seen the fun participants in the Around the World Blog Hop? I was invited by Heather Valentine from The Sewing Loft to join in the fun and spread the blogging love ALL THE WAY around the world! I met Heather when we were collaborators in the book Kitchen Stitches for Martingale. Heather and I were both in Houston at International Quilt Market shooting videos on tips on how to help complete projects for the book. I was so nervous and she was there cheering me on! I had not met her before that day and there she was being my supporter. The shoot went smoothly ( with the exception of my shaking hands and voice) and I am sure it was because of her support! 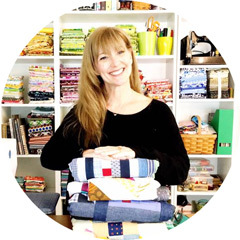 Heather is incredibly talented and her blog is completely filled with all kinds of sewing tips, tricks and projects that are for every sewer and skill level. Did I mention they are almost 100% free! 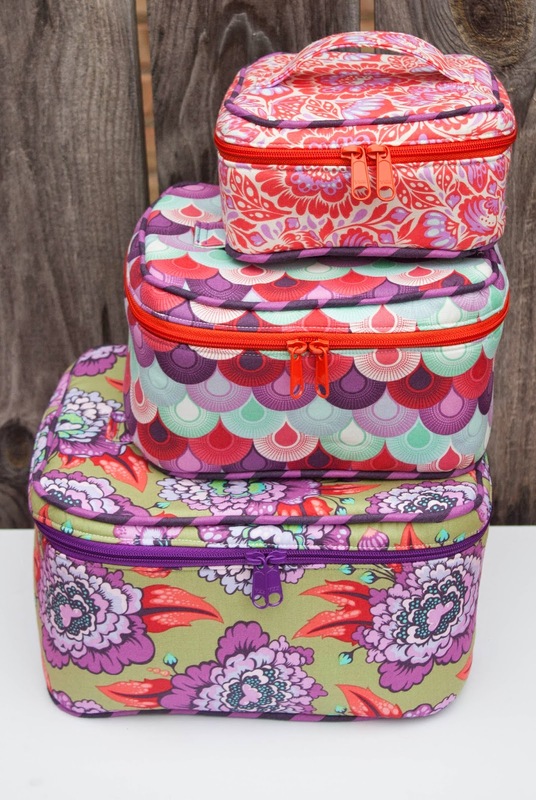 She collects the best of the best and has them bundled all together in tidy packages of sewing love! Heather is someone I am thrilled to have as a friend, she calls with words of encouragement just when I need them the most :o) I hope you will take a moment to go and visit her blog and see all the great stuff she has to offer! I was not brought up sewing. I had a grandmother that did sew adorable outfits for me and my older sister, matching...of course! The one that really sticks in my head is the fluttered sleeved red and white gingham print ones that we wore in a photograph taken at Grant's Department Store when I was probably seven. I had no teeth and braided hair. It was lovely and in the days of film so I am not even sure I have a copy of the photo. I do remember spending a great amount of time with my grandmother in fabric shops. I would happily look through the "dream" books of patterns and walking through all of the bolts of fabrics. I have been fascinated with sewing my entire life. I did not start sewing until I was 40 and eight years later I love it more now than ever. I am a self proclaimed Thrillsewer and am always excited to try something new! I am not the best pattern reader , having not been brought up sewing, I have to try and see every step. All of my tutorials are written from a beginning sewer point of view with no pattern knowledge. I want everyone to take that first stitch and be confident in learning new sewing techniques and patterns. I love testing patterns for other quilters to learn more about the pattern reading but still have to take each step "seeing" the words come to life. 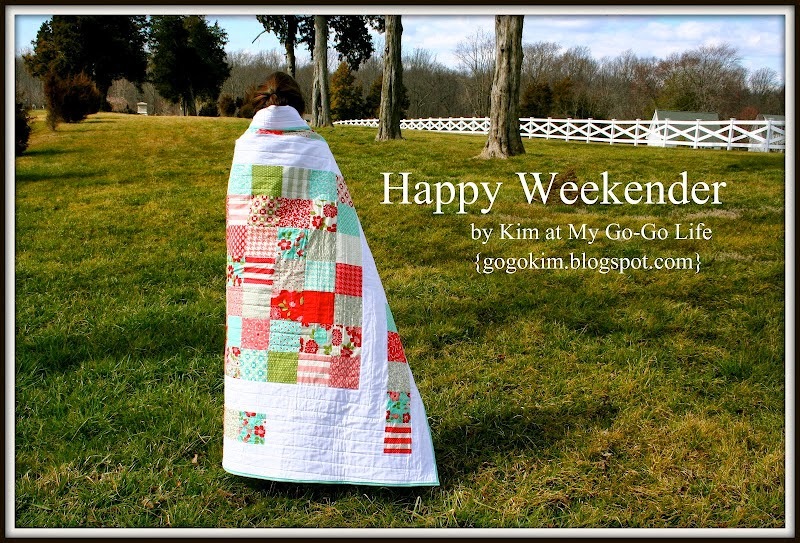 When I wrote my first quilt pattern " Happy Weekender" for Moda Bake Shop, I was scared to death! Imagine my surprise when my email had messages from people saying this was their first quilt and thank you for making it easy to follow. I was so grateful anyone had made it at all. I have never considered myself a quilter but more of a happy piecer. I have seen what long arm quilters can do...I am not a quilter...lol! I do love to quilt, especially grid or straight line quilting. The quilt I made for my grandmother to bring some cheer to her bed in the nursing home had was a fun diagonal grid. She was 92 and loved this quilt. For this sewing planner tutorial for Liberty of London I used 40wt Aurifil for a grid that popped a little more. It was breathtaking! In all of sewing, for all the different techniques and styles, Cathedral windows are my love...my soulmate of sewing! 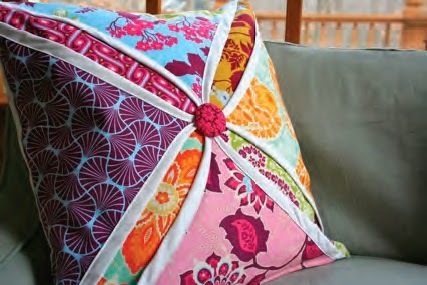 They are stunningly beautiful and deceptively easy on a sewing machine. I add them to just about everything in ways that can make them accessible to every sewer. During this year, there will be more windows! Aeroplane Bag I made for Market with Sew Sweetness pattern! This bag is perfect and stunning! I am not sure I ever had more compliments than with this bag slung over my shoulder! Or just this fun rugby style Cathedral window pillow for my daughter's room where she did not want the classic look but a more beachy and fresh look. Cathedral windows are adaptable to any look or style. Looking forward to this year, I know I will be going back to more sewing with others in mind. Sewing for charity. When I was miserably in bed with the flu in December, I had so much time to sit and think about what is important and one thing I realized was not only my blog anemic but I had been missing something that was originally very important to me, sewing for others. I had not made one charity project in the year 2014. That was a very sad realization and a good smack in the rear to make it happen! So I have been looking around for some good organizations and mapping out how I will be tackling some projects I can accomplish for others. One of my favorites that I always enjoyed taking part in was 100 Quilts for Kids. 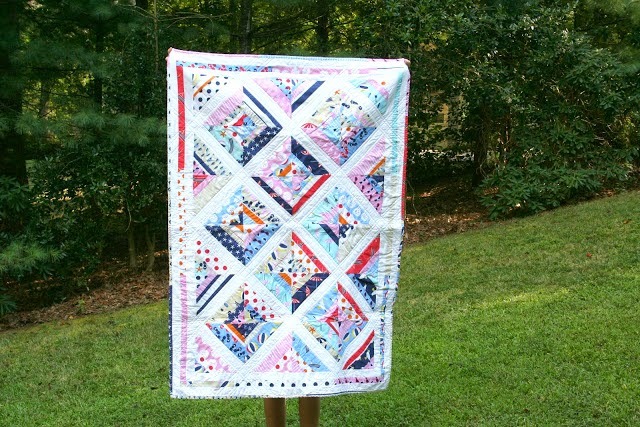 This sweet string quilt made with Dear Stella fabrics was one made in 2012. I look forward to making more for this event. I hope you all will be joining me in some of the events I will be posting about in the upcoming year! For my tagging, I am including some of my nearest and dearest! I cannot believe these people have allowed me into their lives and hearts...they are not only some the THE MOST talented people I know but the kindest as well. Quilt Jane is my Petal extraordinaire with MAD fast quilting skills! Her sense of humor is quick and she travels with Tim Tams! What is not FABULOUS about that!?! 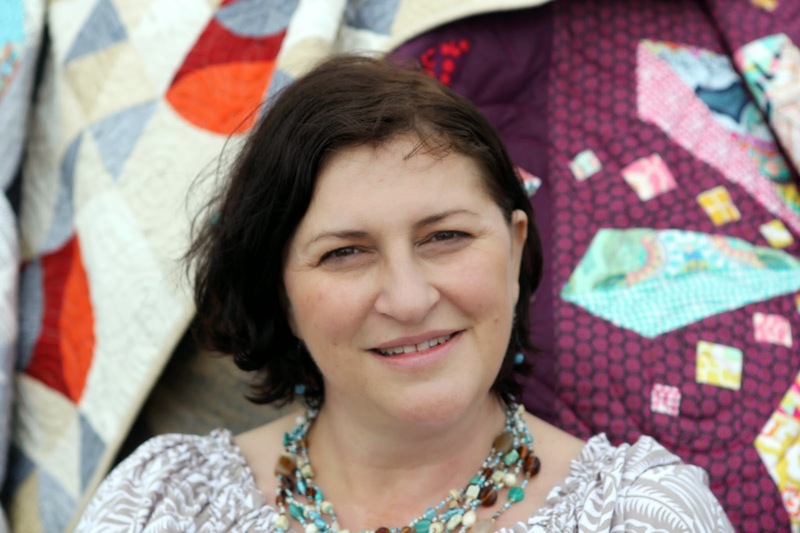 “I love everything about quilting and the quilting industry. I am so inspired by the enthusiasm and creativity I see everyday”. A scientist at heart, Jane loves the engineering behind the quilt making process – the planning, the fabric selection, the designing and construction, and of course the quilting. She is always ready to challenge her skills when designing a new block or quilt. I am not sure Sara from Sew Sweetness needs an introduction since she has been really an active part of my blog and my very best friend for about seven years. 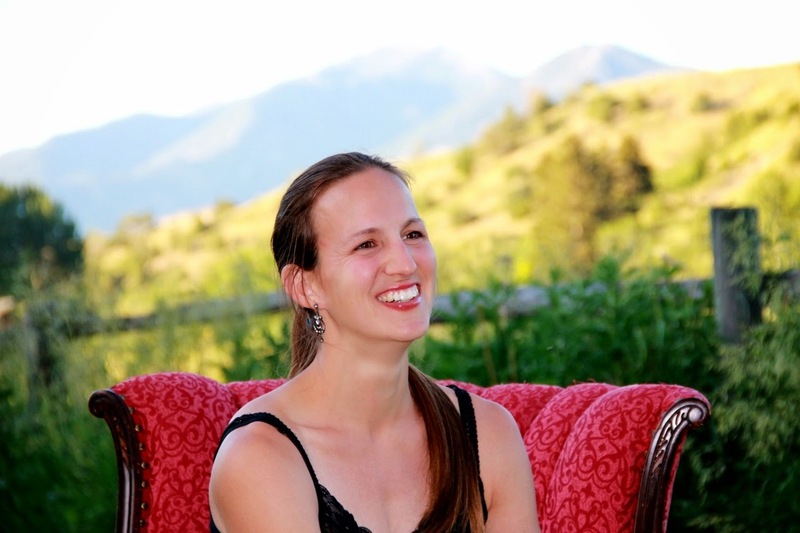 Without her, I would not be blogging. She and Amy MADE me blog and did not stop harassing me until I did. Sara is my love and my light ( not just being gooshy, it is the truth). She and I have the yin and yang thing down pat! I am insane and she is the calm. Truth be told sometimes that goes in reverse but we are always there for one another. We travel to Market together and talk whenever we can. My life would be complete if we just up and moved our homes next to one another. Em from Moonlight Sewing I have known for a few years and we met through an online bee. I invited her over to a sewing playdate at my home and we really hit it off! We also ran a half marathon together ( she beat me and was FIVE months pregnant at the time). 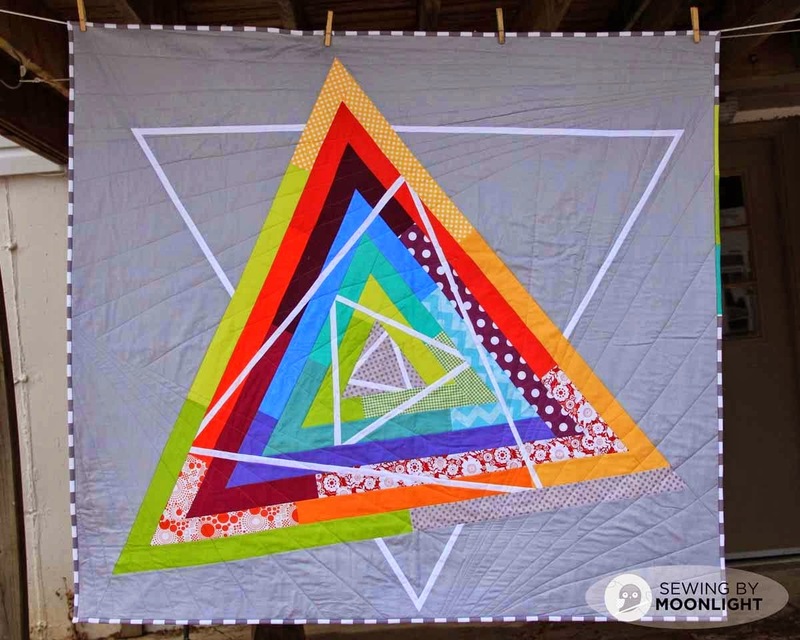 Em has an amazing set of free blocks on her blog and is one of those people you sit and look in amazement at when they make everything look effortless. A couple sentences about me: I am torn between the aspiration of what I *want* to accomplish and the reality of what I actually CAN accomplish. My online platform for sharing sewing projects is Sewing by Moonlight or @moonlightsewing because nearly 100% of my sewing happens at night after my 3 little girls are in bed. I live in the midwest, but I lust for the mountains. 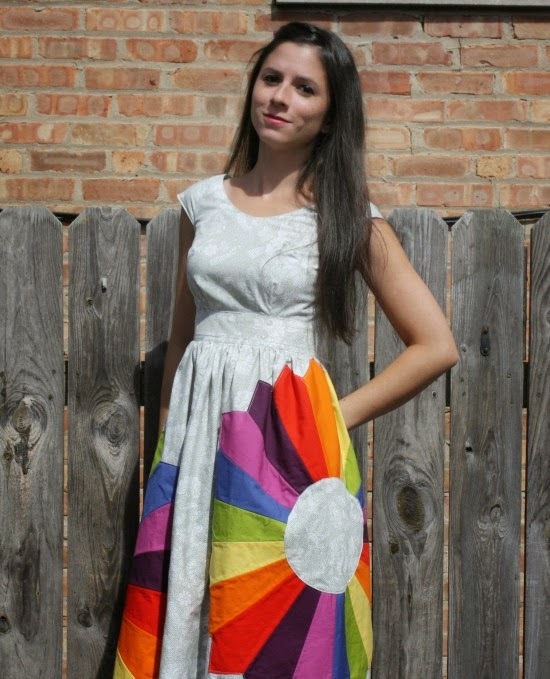 As I am looking back at this post , I know that I love what I do in writing this blog about my misadventures in sewing. In truth, what means the most to me and continues to give me a reason to continue writing is the people I have met here. Most I possibly never would have had the opportunity to meet if it were not for this little blog. The kind words of encouragement from my online friends to help get the next project done or to offer great suggestions for sewing tips, color choices or storage. You guys are AWESOME ! Thank you! Let's take this love Around the World! Muito lindo seu trabalho. Fico feliz em poder apreciar suas peças. Great post! I'm a follower but really enjoyed reading this introduction. I love the way you use cathedral window. Never tried it myself, but you've inspired me! Thanks! I really enjoyed reading more about who you are and how you got sewing. I didn't start either until I was 40+. And I hear ya about being so nervous about the first Moda Bake Shop project. I was a nervous wreck but it turned out beautiful and so many people are now making one for themselves. Lastly I do adore Cathedral Windows and have a friend that wants me to use that design for a 100 Good Wishes Quilt for her daughter but I've never made one so any and all tips you can provide to help with that very special project will be greatly appreciated. I always enjoy reading your posts, and this one was so fun! I really need to make one of those cathedral window pincushions! Beautiful! Is the quilt on the driftwood by Quilt Jane? It's beautiful but I can't seem to find it on her site. Thanks!